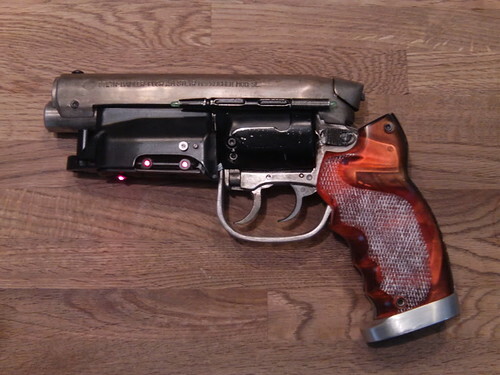 Here is the Blade Runner Blaster Kit from Richard Coyle painstakingly built by morpheusUN from Propsummit.com. Beautiful and impressive. I like his explanation of how "it's not an easy weapon to build, but... if you're a little skilled and.... have a LOT of time....ummmm, maybe....most of you guys can build something like that..." I take this to mean, forget about it. you will never be able to put it together. 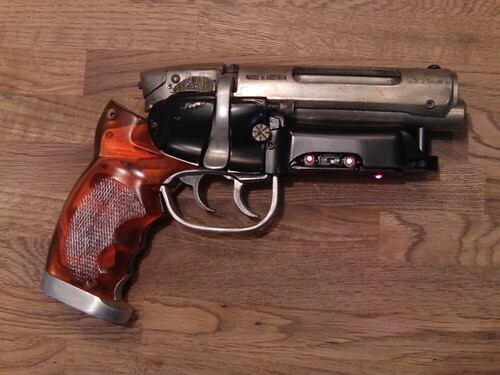 Full metal Richard Coyle propsummit LE PKD Blaster Kit Nr.33 , build by morpheusUN, with Blaster Core V3.1 installed . Thanks Harmond for the heads up!